Deepwater protected canal & Dog Friendly! Call 888-328-4201 to Book Now! 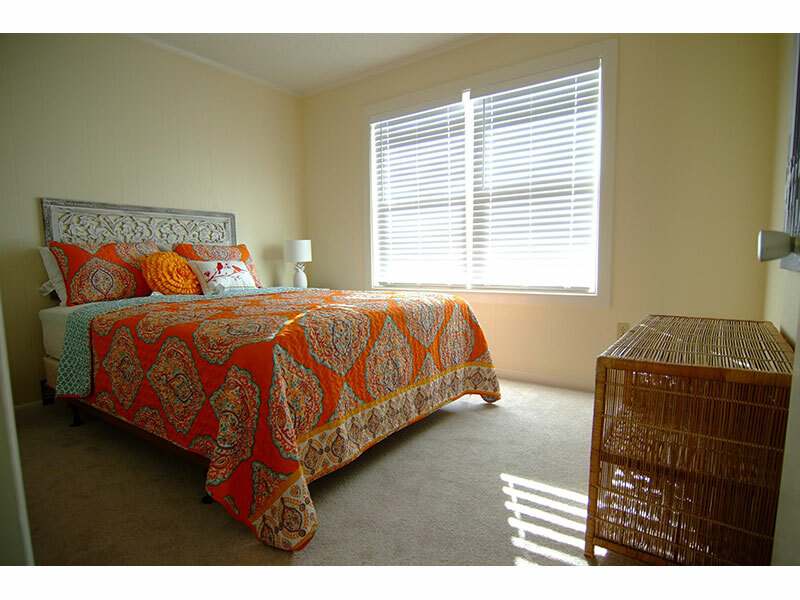 "Sunny Days" Newly updated 3 BR, 2 bath upstairs and 1 BR, 1/2 bath downstairs that sleeps 10. 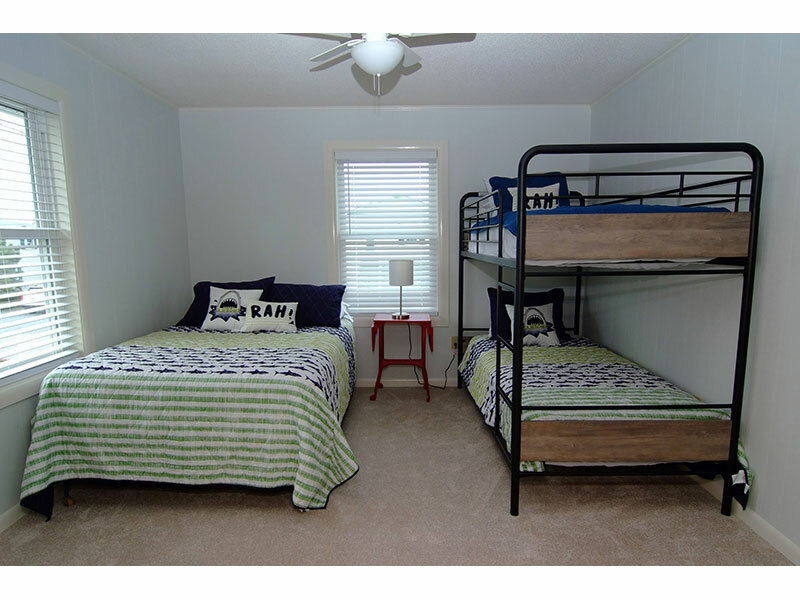 It has 1 King, 1 Queen, 1 double and 1 bunk beds upstairs, and 2 Twin beds downstairs. 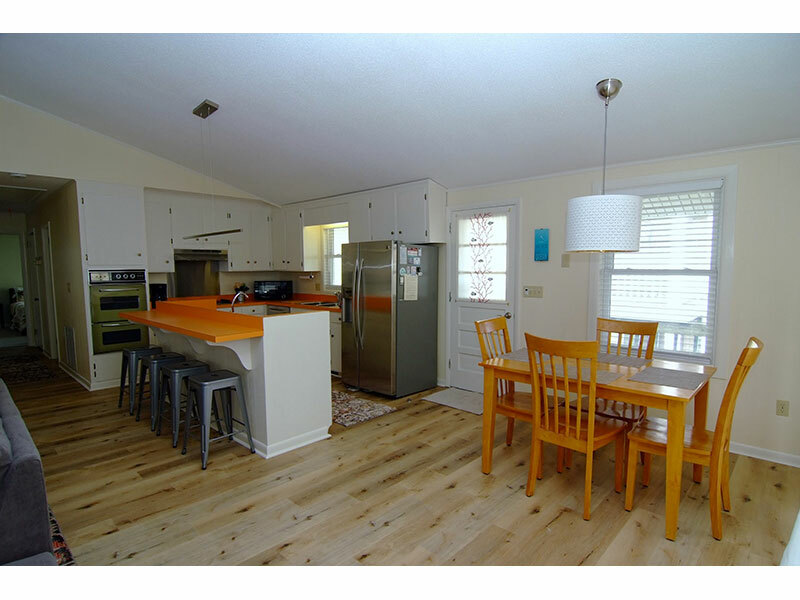 "Sunny Days" Newly updated 3 BR, 2 bath upstairs and 1 BR, 1/2 bath downstairs that sleeps 10. It has 1 King, 1 Queen, 1 double and 1 bunk beds upstairs, and 2 Twin beds downstairs. 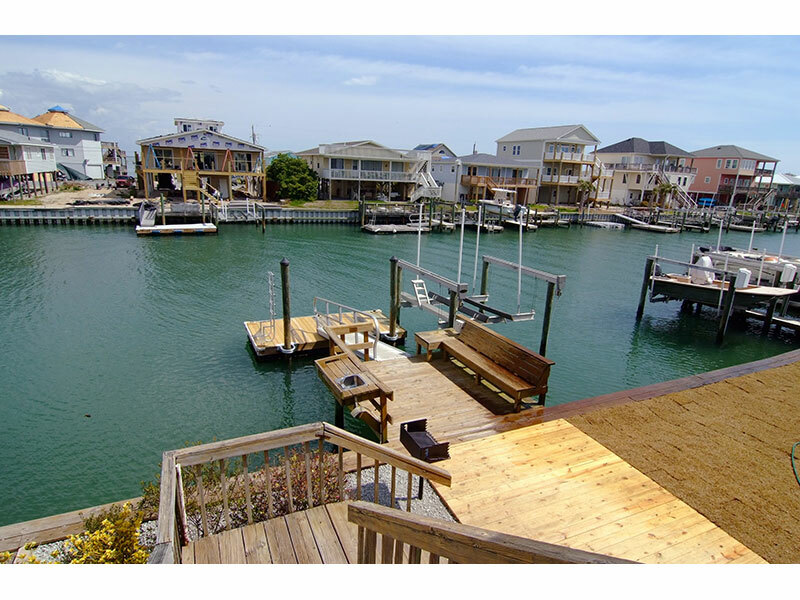 , central A/H, cable TV, wifi, washer/dryer, dishwasher, microwave, screened porch, H/C outside shower, sun deck and floating boat dock. , (pets welcome - $200.00 1 dog, $300.00 2 dogs extra). 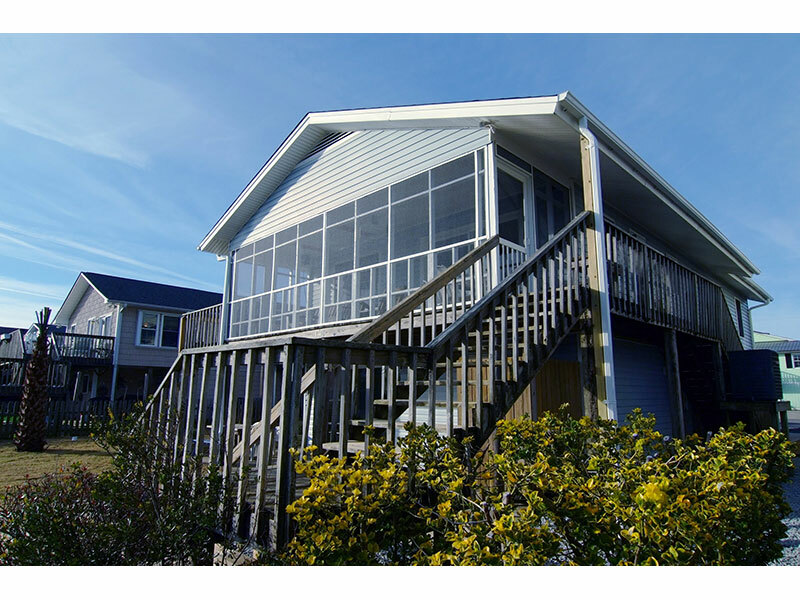 Located 130 McLeod Ave., Topsail Beach., Canal front cottage with dock, has waterfront screened in porch and open floor plan. 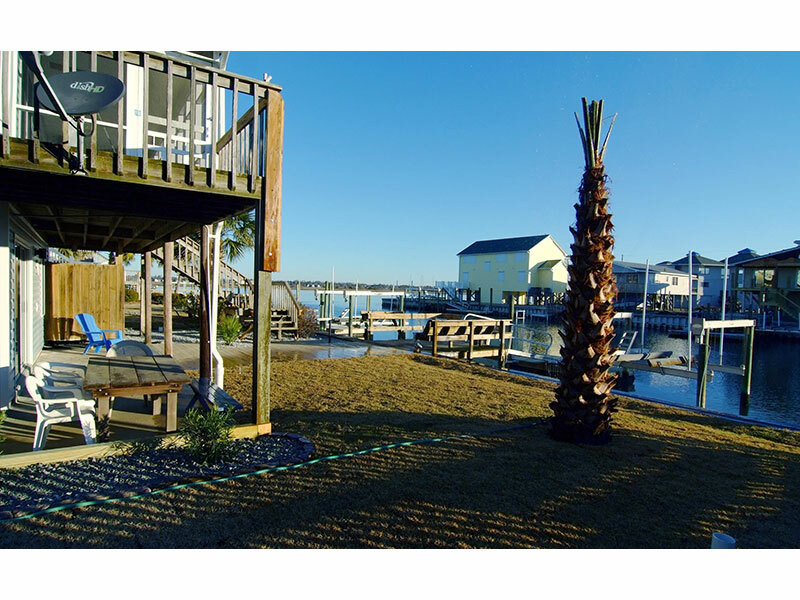 Newly renovated, with vintage flair, Sunny Days is a classic Topsail Cottage on the island's desirable south end., Upper level: 3 BR, 2 baths. 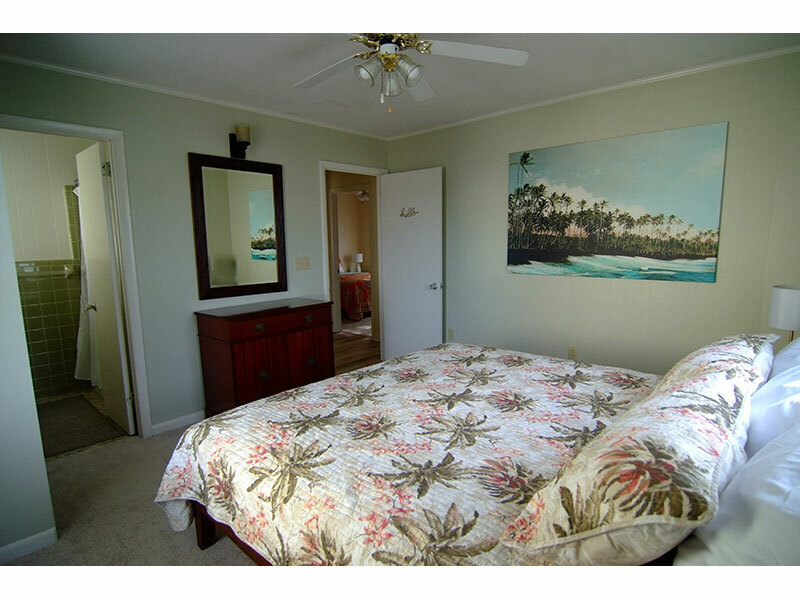 The Master has King size bed with en-suite bathroom. BR #2: Queen size bed. 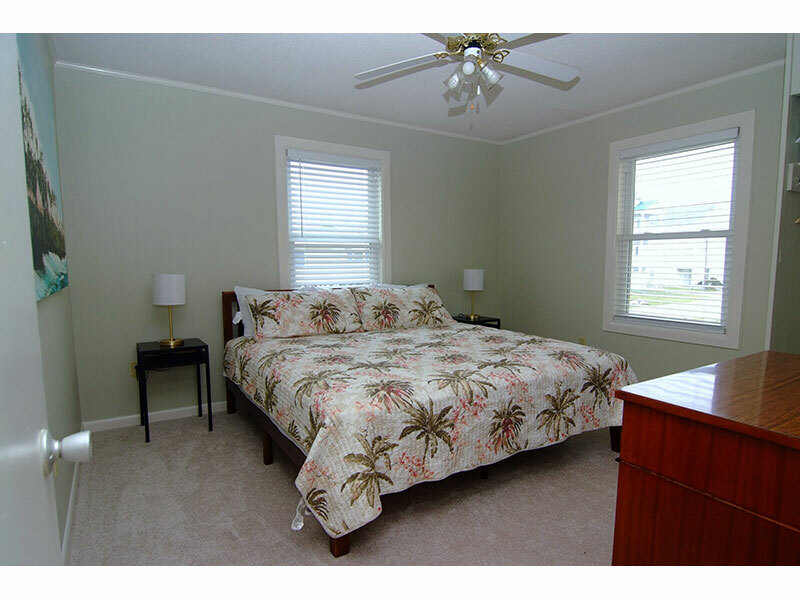 All bedrooms have new luxury mattresses and carpet. 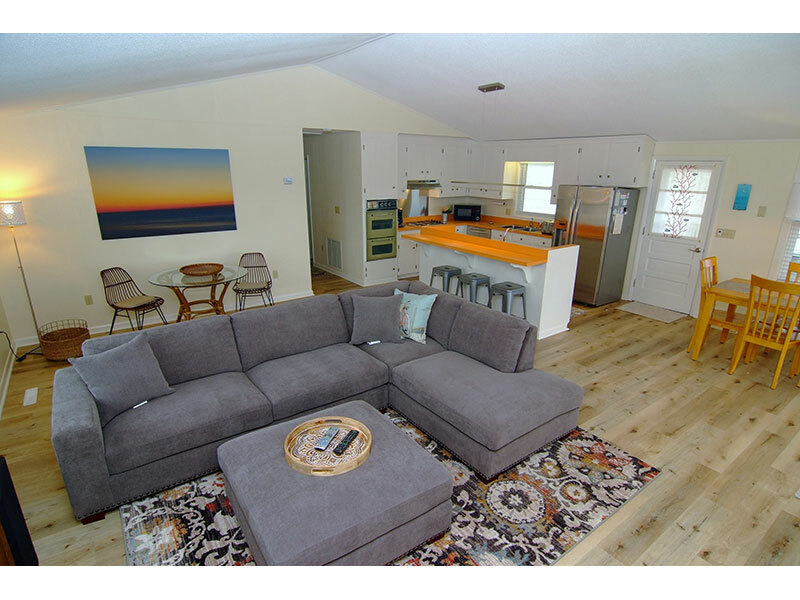 Fully equipped kitchen with an island, bar seating and wet bar, dining room and newly decorated and refurbished living room with 50" flat screen tv. 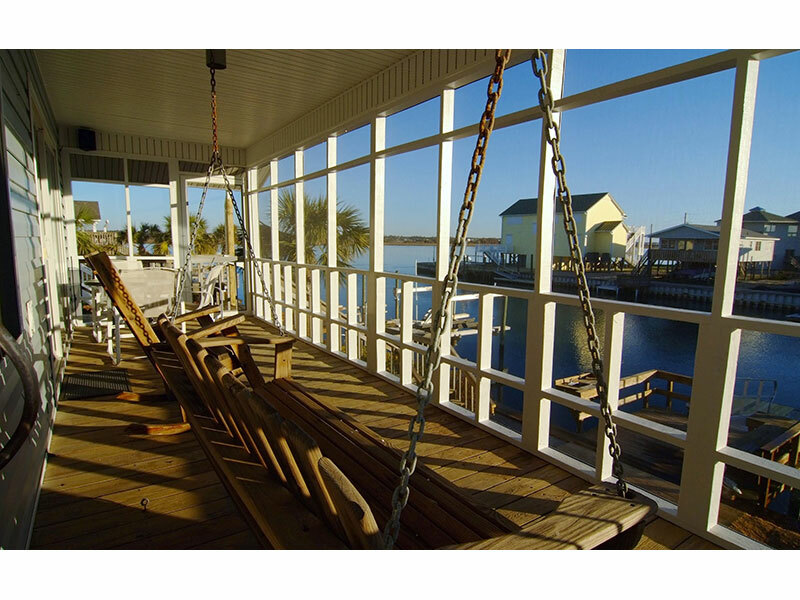 Screened in porch off the great room allows you to enjoy sunrise views to the east and lovely views of Topsail Sound and the salt marsh to the west. 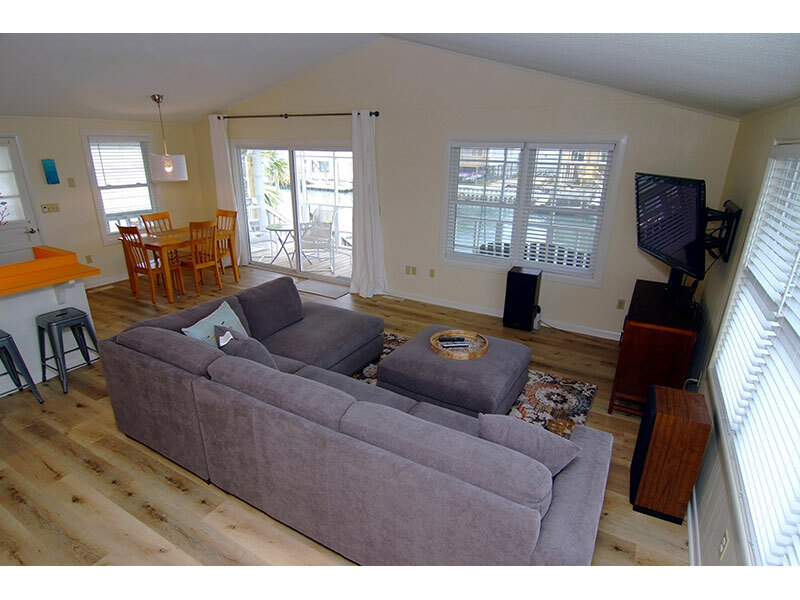 An open deck is located just off the screen porch for star gazing and enjoying the sunshine., Lower level: 1 bedroom with two twin beds, 1/2 bath, adjoining rec. 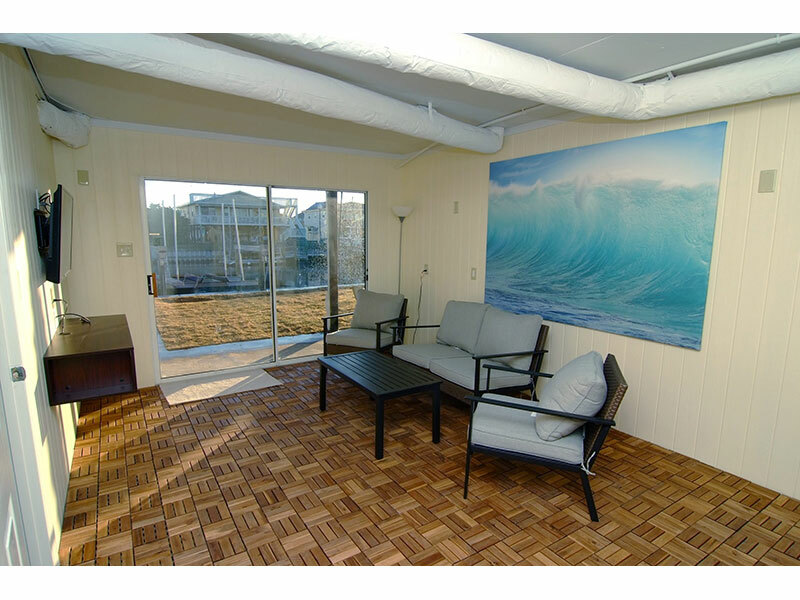 room with extra refrigerator has large sliding glass door to waterside. The laundry room is just off the enclosed garage/storage area. Rear patio has outdoor shower with hot and cold water, charcoal grill and picnic table., Canal front dock: platform over the water w/a sink for cleaning the days catch, floating dock with ample room for tying up your boat and a ladder to help with getting in and out of the canal after a lay float. 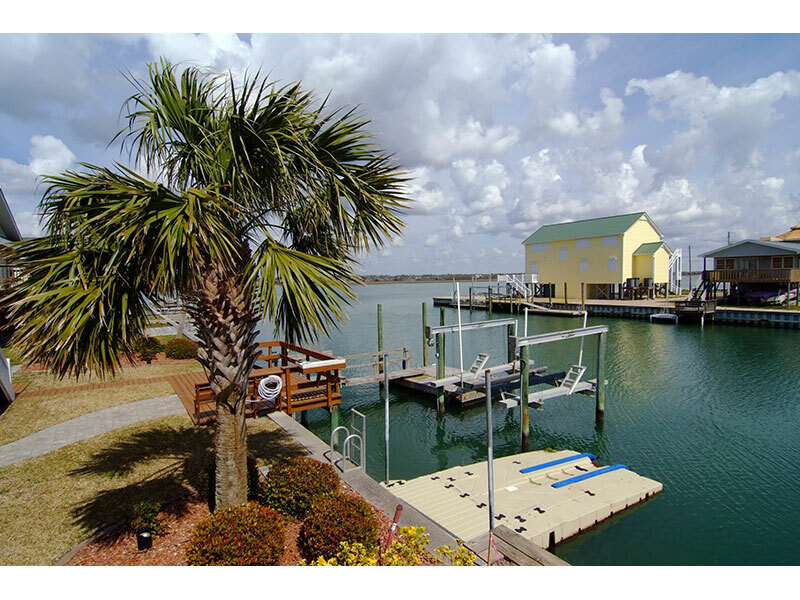 Boat lift is not available to tenants. There is a beach cart with beach chairs to help transport your gear to the beach in the garage. 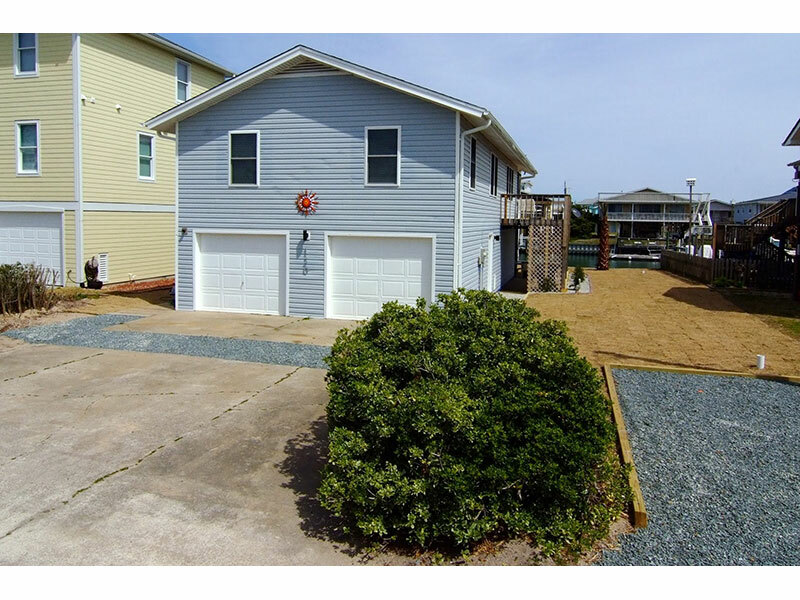 Enclosed 2 car garage, plus driveway parking for 3 additional cars/trailers. Beach access is a short walk at the end of the street. McLeod Ave. is a quiet street from Ocean Blvd. to Topsail Sound - no outlet providing fewer cars., We are dog friendly and allow up to 2 dogs. $200 for the 1st dog, $100 additional for 2nd dog (max allowed). No smoking on the property. Sleeps up to 10. Cable TV HD service for TV in main living room and lower rec. 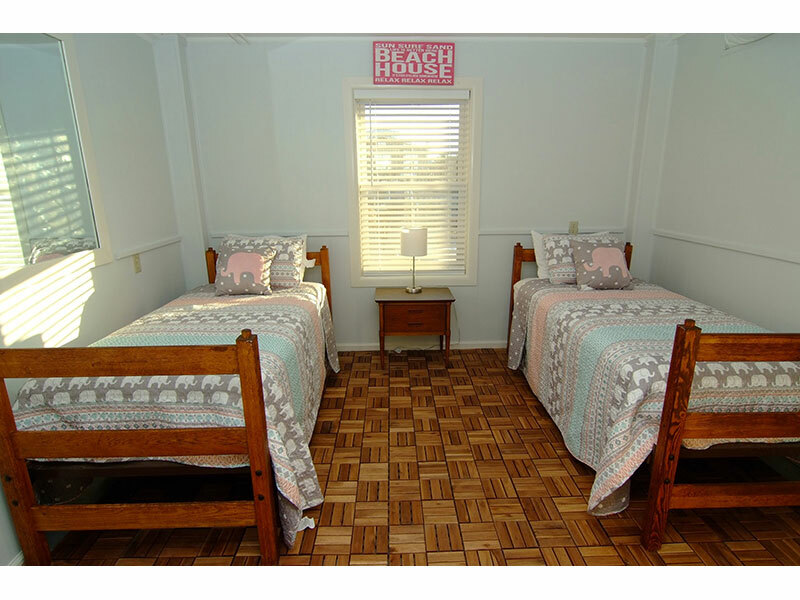 room, WIFI broadband Internet, dishwasher, central ac/heat. To send a reservation request to the manager of "Sunny Days", complete the following form. When you click the "Send Request" button an e-mail will be sent to the manager and a copy will be emailed to you, along with details on how to complete your reservation. 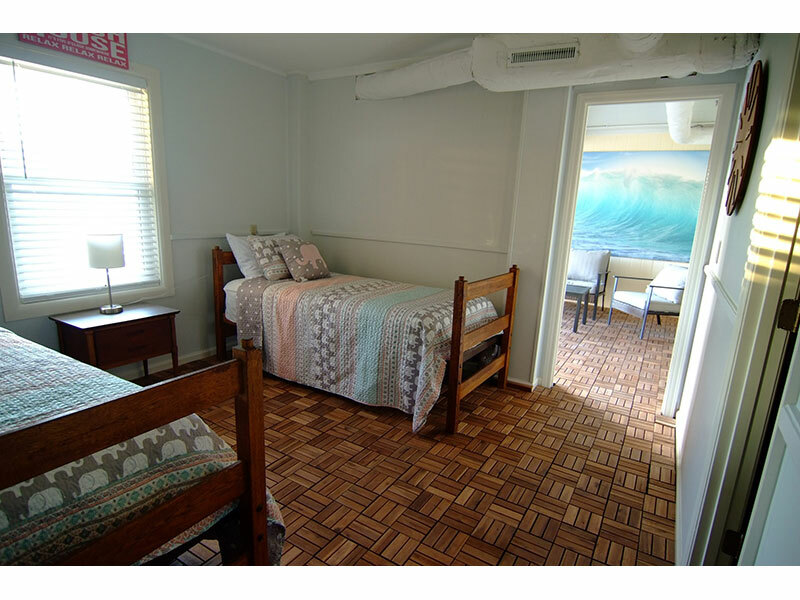 I saw Sunny Days advertised on www.RentABeach.com and I am interested in renting. Clicking 'Send Request' will immediately forward this information to the manager of Sunny Days, which is Sea Path Realty. An email copy of your request will be sent from support@rentabeach.com to the address you provided above.